I’m an English literature major with a minor in linguistics preparing to graduate this coming spring. I already have a couple job offers: one as a copywriter at a startup ad agency and another as an ESL instructor for an international boarding school. Neither pay especially competitive salaries, yet both demand unreasonable time commitments. My parents are encouraging me to at least endure one of them while I figure something else out but the idea of having to withstand any amount of tedium and monotony is simply too overwhelming. I’m instead considering the possibility of writing a fiction novel. Tapping into my savings while continuing to wait tables on the side could safely float my little literary adventure for almost a year and a half. The problem is not knowing where to begin. What should I be doing to ensure this whole thing doesn’t become a regrettable blunder? 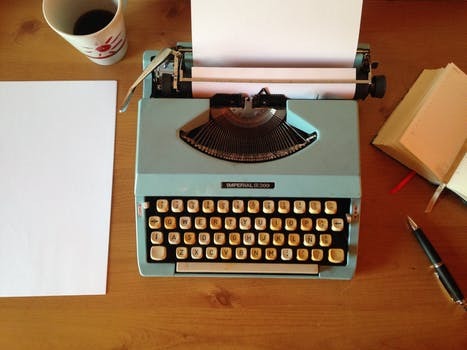 Writing for a living as a traditional novelist, newspaper columnist, digital copywriter--or anything in between--can certainly have its challenges, but those persistent enough very often find it to be a rewarding way to go. Since you’ve likely studied all manner of writing theories and techniques, we expect the crux of your problem has less to do with the nature of producing a novel and more to do with the nature of successfully freelance writing as a career choice. You’re in luck, because it’s never been easier to turn writing into a viable and profitable career path, especially in the age of digital nomads. There’s no shortage of step-by-step tutorials available online to support aspiring scribes. And, perhaps more crucially, the wider public is beginning to backtrack on aggressively and exclusively encouraging STEM degree attainment in lieu of the arts and humanities. It’s better late than never, despite being one of the more obvious oversights shared by industrialists and academics alike. Something else important to consider is how your personality aligns with the nature of running a business. Introverts, for instance, should put serious forethought into how they might network to find opportunities and earn new clientele. Managing your personal brand is critical to your career advancement, particularly as a freelancer; there’s no way around it and no shortcuts to proven success. You can find some solace in knowing that there’s a whole slew of digital tools available to make personal branding much more manageable. Know also that at some point you’ll likely encounter one of these common writing obstacles, which tend to universally afflict anyone even remotely committing to sincere professional writing. Rely heavily on perseverance and adaptability when it comes to overcoming barriers and temporary setbacks. While developing emotional resilience benefits almost any profession, this is especially true with writers who often consider their words an extension of themselves. Remember that constructive criticism is the only way to improve your capabilities and correct otherwise imperceptible oversights. Try not to take criticism too personally. The unfortunate reality of professional life means we can sometimes prevent ourselves from achieving what we set out to do. Say you have a finished manuscript that only requires polish or a skeleton framework with a compelling idea that needs expansion, but you haven’t the time to devote to them--what should you do? In those rare but inevitable situations it can be useful to tap into expert ghost writers or ghostwriting services. These groups usually have talented editors and writers available to either coach you or intervene on your behalf. No matter how you decide to approach planning and execution, be sure to remain optimistic.